“When arriving in Angalakupam for the first time I`m struck by a sensation of being very far away from home. Not to state the obvious, I`m not the first one to feel this, but my expectations of the children may be colored by this. 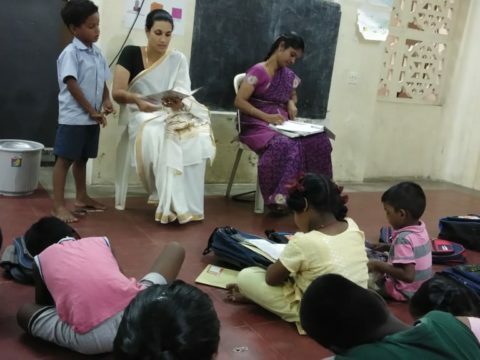 Will Indian children be different from Scandinavian children? Will they behave in a different manner? I was soon to discover a universal truth; children will be children. You can go to the highest peaks of Europe or the deepest corners of Oceania, through Asia, America and Africa, there is one thing that is evident; children want to play, laugh and have fun. And they should, but not all children are given this opportunity, mainly because of the actions of the adults surrounding them. That’s why I wanted to work with a program that offers children in a challenging situation just this. And combined with learning essential skills to survive and prosper, is what the SoC program is all about. When used to working with youths age 15-18 I must admit that being surrounded by small children was a new experience. I obviously have been around children before, but never as the grown up who shall lead and guide them through games and education. Under guidance from the very devoted and talented Anbu and the rest of the amazing social workers I played the role as assistant more than leader, but still, I was an adult the children could turn to. Not speaking Tamil of course did not help, but people always finds a way to communicate. Whatever concerns I may have had before starting with the sessions soon vaporized. Unlike older children and youths, small kids have an amazing ability to find joy in almost everything. 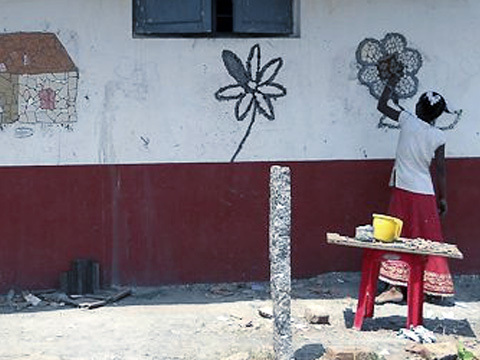 Picking up garbage in the village for example seemed like a day filled with joy for them, but also of paramount importance in regards of learning how to keep their communities clean in the future. Isn`t that what one calls a win-win situation? 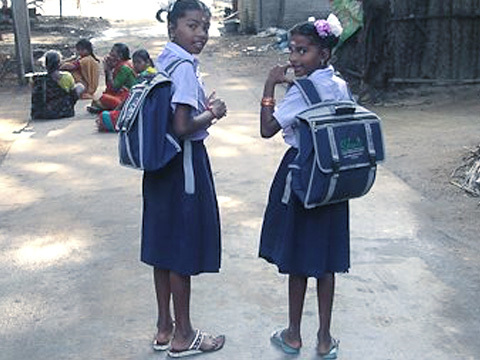 Angalakuppam, though arguably of challenging living conditions, have a certain calm and friendly ambience over it, with the creche as a natural meeting point for the children. 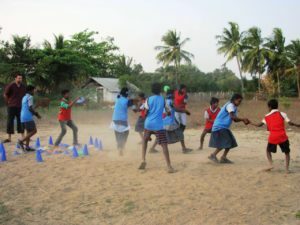 One of the preconceived ideas I may have had when arriving to the village was the notion that in order to conduct games and education, the arena where to do so is of great importance for the outcome. 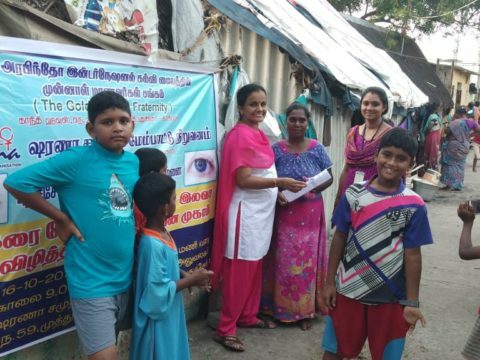 I could not be more mistaken, in both Angalakuppam and Irular, where they have dug out a playing field by hand, the people leading the sessions are way more important than the locations of the activities. 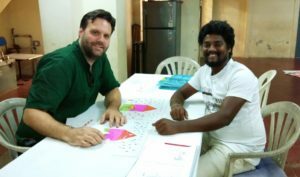 So, what have I learned from my time India and with Sharana? Well, children are born to play, laugh and learn, and it`s the adults who shall provide the opportunity to do so. Not being blind to the fact that my short sessions in Angalakuppam does not offer me the full story of the socioeconomical conditions and other things that may be the reason for why Sharana is needed there, I still find it a beautiful place. And the job Sharana does through SoC? For me it is difficult to find something more valuable than teaching children about waste management and personal hygiene in order to prepare them for a life where this knowledge is absolutely necessary in order not just to prosper, but to survive. And doing this through games? Perfect! The children are surely facing, and will so in the future, enough gravity and therefore offering a pocket of air is, in my mind, a very god way to work. On a personal note I wish I could stay longer. Now that my stay is rapidly moving towards the end, the children have really started to open up to me and comes running to high five me when we arrive. I wish I could be here for three more months, but such is life sometimes. Should you however consider working as a volunteer for Sharana and SoC, my only advice is: Do it! What you learn about India, the children and yourself is something will profit on for a long, long time. 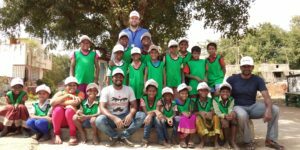 -penned by intern Stian Lillethun from Oslomet University who is Passionate about sport and development and is working closely alongside social worker Anbu and Bhavani in the Seeds of Change program for about 3 months- where awareness is created through sports and games.